The contractor for the Sepulveda Pass Improvements Project opened the northbound HOV lane on the 405 between the I-10 and U.S. 101 at approximately 4:30 a.m. today. Stay tuned for more info and the press release from Metro later today. In the meantime, here’s an excellent roundup of the project. I will be bookmarking this article to send around in 5 years when it turns out that all of this did nothing to make Los Angeles a more humane place to travel around in. Good job, Metro, you just wasted $1 billion to attract more congestion and pollution in an already congested corridor. You guys must be terrible at forecasting future traffic growth and induced demand. Too bad you couldn’t have built a TRANSIT line in this corridor, instead! I was driving in from Sherman Oaks to Brentwood this morning. It was pretty packed except the carpool lane. I was in the lane next to the carpool lane and I noticed that 90% of the drivers in the carpool lane had only 1 person in their car. Ridiculous! I don’t know if you realize, the improvement is was already evident. 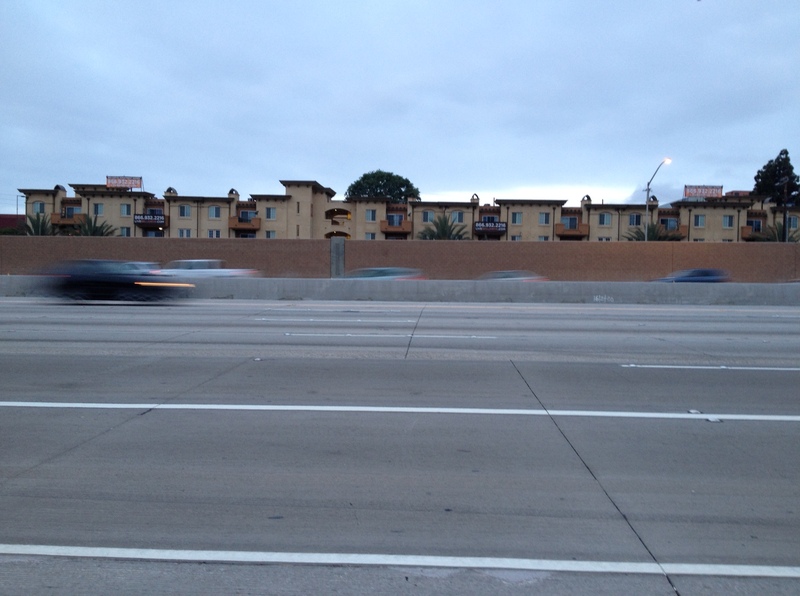 it is more than just a strech of carpool lane. One of the features of this project that you will not notice yet, and may never really realize makes a difference: the wider left shoulders in both directions (and IIRC, north bound right shoulder). Allowing broken down cars to get out of the way helps traffic flow. Once the k-rail gets removed on the southbound side, you will notice that the speeds will be better when there is an accident or broken down car. These are also some of the same types of improvements that are being done on the 5 as well (in the Glendale, Burbank, Sun Valley area). They are also needed at the 405 south at Roscoe & 110 south at Sepulveda. This is why it needs to be converted into a HOT Lane (I’d make it two lanes in each direction). Right now, people just cheat in the carpool lanes as there is next to no enforcement. Revenues could be used to help pay for a transit line from Sylmar to LAX. Still a nightmare!! This waste of money still costs money. For lost of time travel for tax money.RIDICULUS!